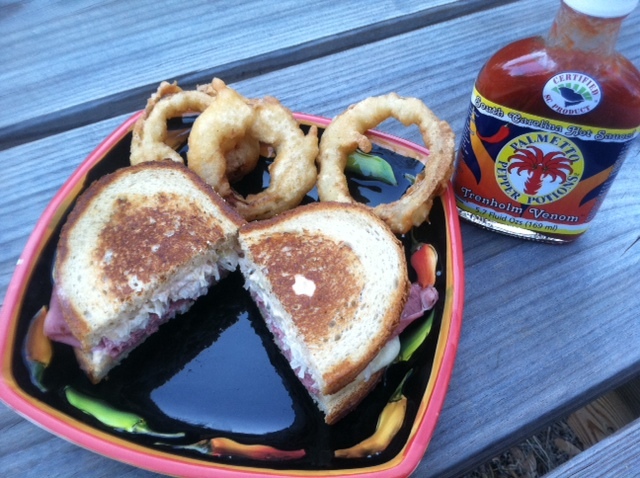 Get your Irish on with a Trenholm Venom Reuben Sandwich! Melt butter in a large cast iron skillet over medium heat. Dip one side of each slice of bread in the melted butter. Place two slices (buttered side down) in the skillet and top each slice with a slice of cheese and half of the corned beef. Top with remaining bread slices, buttered side up. Toast sandwiches until golden brown, turning once. Before serving, remove top slice of bread and add a generous layer of sauerkraut and Trenholm Venom Reuben Dressing. Shred chicken and place in large bowl. 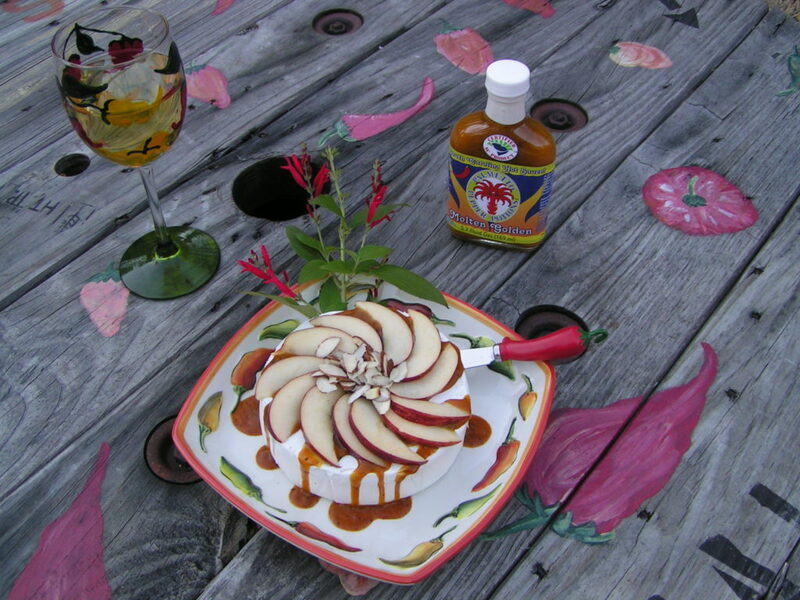 Stir in 1 cup of bleu cheese dressing and 1 bottle of Daily Red hot sauce. Top with grated cheddar cheese. Bake in oven for 15-20 minutes or until cheese is bubbly. Serve with assorted crackers and celery sticks.